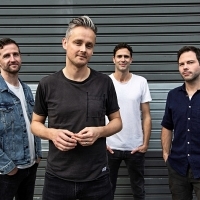 Keane are a Grammy award-nominated, Brit award-winning English pop-rock band, featuring Tom Chaplin - vocals, Tim Rice-Oxley - piano, Richard Hughes - drums and Jesse Quin - bass. The band released their multi-platinum debut "Hopes and Fears" in 2004, followed by the multi-platinum "Under the Iron Sea" in 2006, then "Perfect Symmetry" (2008) and "Strangeland" (2012), with a greatest hits album "The Best of Keane" released in 2013. Singles released include the hits "Somewhere Only We Know", "Everybody's Changing", "This Is The Last Time", "Is It Any Wonder", "Crystal Ball", "Spiralling" and "Silenced by the Night". The band went on hiatus in 2013, returning to recording and performing in 2019.